Government has revealed that strides in bridging the gap between the rich and the poor in society through the successful implementation of Social protection programmes have so far yielded positive results. 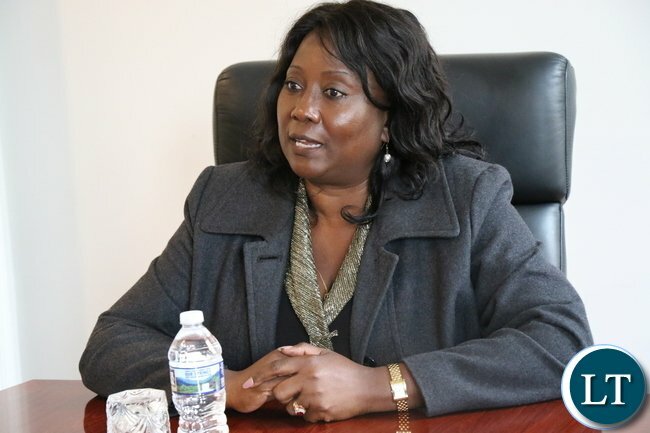 Minister of Community Development and Social Services Emerine Kabanshi said the number of social protection programmes that government is implementing are yielding positive results. She disclosed that so far 63,000 households are benefiting from the Social Cash Transfer Scheme out of the targeted 700,000 households for 2018. Speaking during a press briefing in Lusaka today, Ms. Kabanshi cited the Food Security Pack as another programme that is producing impressive results. Ms. Kabanshi said 80,000 households are benefiting from the programme, adding that people are under this programme will be given farming inputs in readiness of the 2018/2019 farming season. She pointed out that government will do everything possible to uplift the living standards of people. And Ms. Kabanshi disclosed that a non-governmental organization from the United States of America has come on board to help her ministry capture data of people under the social cash transfer programme. She said the NGO called Both Ends Believing has a software that can capture data on people and households under the social protection programmes. Very true indeed honourable! The Gap is slowly being lessened. Bravo! The gap between rich and poor is the biggest it has ever been. Stop lying to the citizens because they are feeling the squeeze. The problem in life is that those doing well (as a result of stealing public money) think everyone else is living it large. Now that their stomachs and bank accounts are bulging, they think everyone in Zambia is enjoying themselves like them. Now the gap is widening because from the money you were giving me I now have to pay internet tax when I call you to find out why you have not yet sent the same money.